Fairy, pixies and elves links!! Anyone with a Fairy, Pixie or Elf theme Site wishing to reciprocate links with us at The Pixie Pit can apply here. Just e-mail us and send your Site's logo image and URL. We will then send you ours to place on your Site's links page !!! creatures such as Pegasus, Griffins and Dragons. To enter this mysterious realm please click here. Moondust and Angels supply a fantastic selection of high quality charms, amulets, pendants, new-age gifts and collectables including Fairies, Angels, Dragons and Pegasus all at competitive prices. Click on the banner above enter their web site. ENCHANTED DOORWAYS ARE LITTLE HANDMADE PIXIE DOORS, FAIRY DOORS AND GARDEN ELF DOORS , THEY CAN BE PERSONALISED AND MAKE IDEAL GIFTS FOR WEDDINGS, BIRTHDAYS, ANNIVERSARIES AND CHRISTMAS. THERE WAS A LITTLE PIXIE TRAPPED BEHIND A WALL , HOW WAS HE TO GET OUT , HE WASN'T VERY TALL , HE LOOKED ALL AROUND HIM , THEN SAW TO HIS DELIGHT , A DOOR FIXED TO THE SKIRTING BOARD , IT WAS JUST ABOUT HIS HEIGHT ! Elves have allowed us to escape into fantasy lands that are buried deep within our souls. The Faylinn Collection contains hundreds of faeries from Celtic myth and legend including the three famous faeries from Sleeping Beauty, the Blue Faery from Pinocchio, the faery Godmother from Cinderella, and all the other popular, legendary faeries from our youth plus so many more. All these faeries are based on Celtic myth, legends, and history, in addition to the lesser known Tuatha de Danann faeries, who ruled Ireland, Scotland, Wales, and Britain from 1897 BC to 1700 BC, then retreated to their mystical faerylands underground, in the sky, and in the sea. Click on the banner above to enter their site. Welcome to the official online gallery and store of Australian artist Kirstin Mills, where you will find a wonderful collection of fairy art, fantasy art, mermaid art, mythical art, dragon art, unicorn art, goddess art, feline art and portraiture art in a wide array of forms, from original artworks and archival prints to gorgeous and magical gifts for every occasion! options include face painting, storytelling, magic and much, much more. For further information or to book you special fairy visit her website. pictures that are available to buy as limited edition signed prints. Please click on the banner above, to visit Eloise's cute Fairy Dell site ! fairy fashions, paintings and lots more ! Charlotte Bird specialises in fairy art/photography. Please click on the banner above to view her galleries. greeting cards, journals, mousepads, stickers, clothing and much more ! Association for people that love fairy folk and angels. Click on the banner above, for a rhyming picture book, that tells a story about a nervous little fairy named Dixie who is afraid to fly. All the other fairies in the Land-of-Pixie have four wings but poor Dixie has only two, and getting them to work is troublesome. Please visit Fairy Magic, home to various types of Fae Magic. Where you may purchase various magical and unique gifts for yourself, friends and family helping to transform different aspects of your life, using the magical powers of the fairies and the moon. Online resource to over 8,000 fantasy and medieval items! "little people" into your house or garden. Why not visit Angelique's Miniatures, for some really cute dolls ! Check out this site, which specialises in Mirabilia fairy cross stitch charts and kits. well as Jewellery, clothing, accessories, children's parties and more. Faerie and Lord of the Rings LOTR style clothes ! 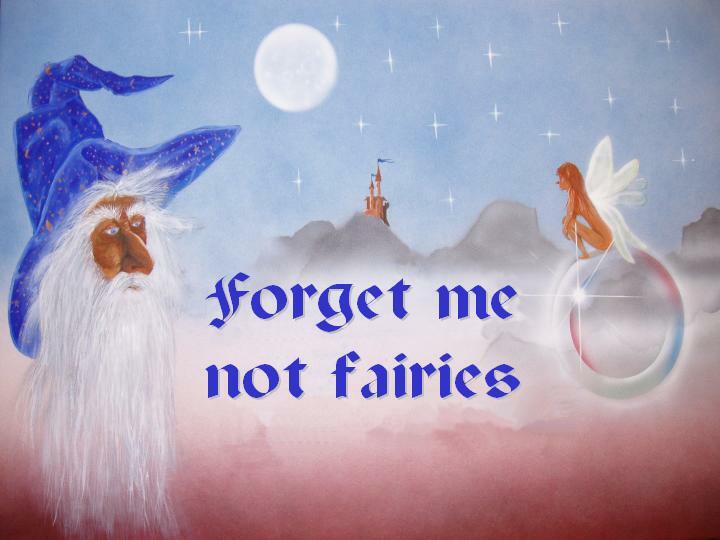 Please visit The Fairy Grotto, for original works of Fairy Art ! 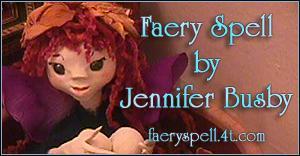 Please check out Faery Spell for some cute 3D Fairy Dolls !! characters of myth and magic? Then please visit Fairies and Dragons ! Punks, Fairies, Pixies, Furries, Devils & Gothic Lolitas. Please visit Brigid Ashwood'sFairy Art and more site! Please pay a visit to Connie's site! Play pay a visit to Princess Pixie's site! Check out Bern's Fairy Poetry, click on the Fairies above ! We loved Fiona's cute Fairy Site, please visit her !!! We loved Jayde's cute Site !! Our Site's logo would appear on your Site like this !! Or if your prefer, you could just use a simple text link to us ! !